All the great sales have been extended through today. Free shipping, up to 50% off - so many great offers! 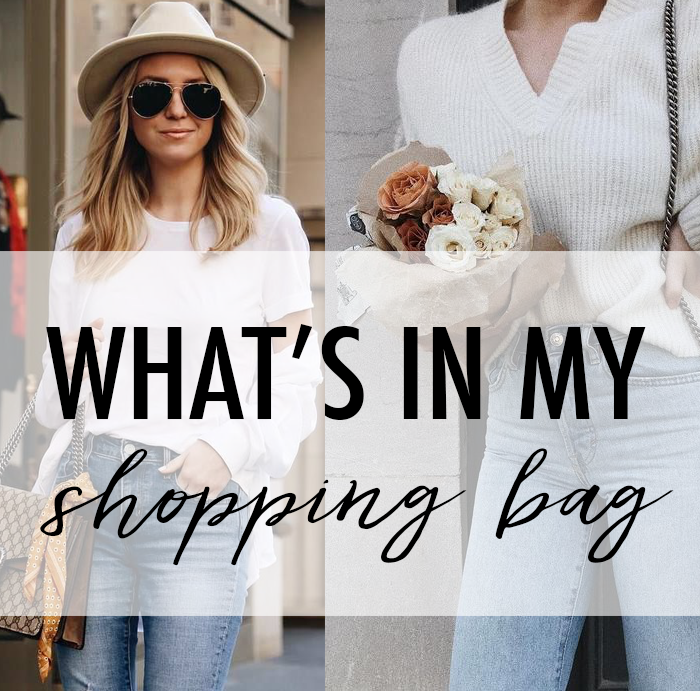 There are so many great deals happening this weekend. 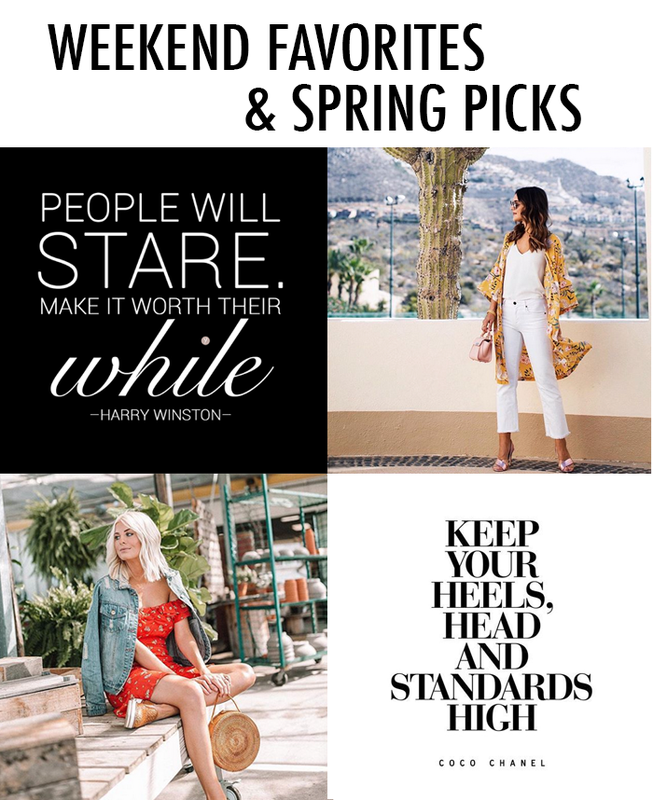 Here are a few of my sale picks. 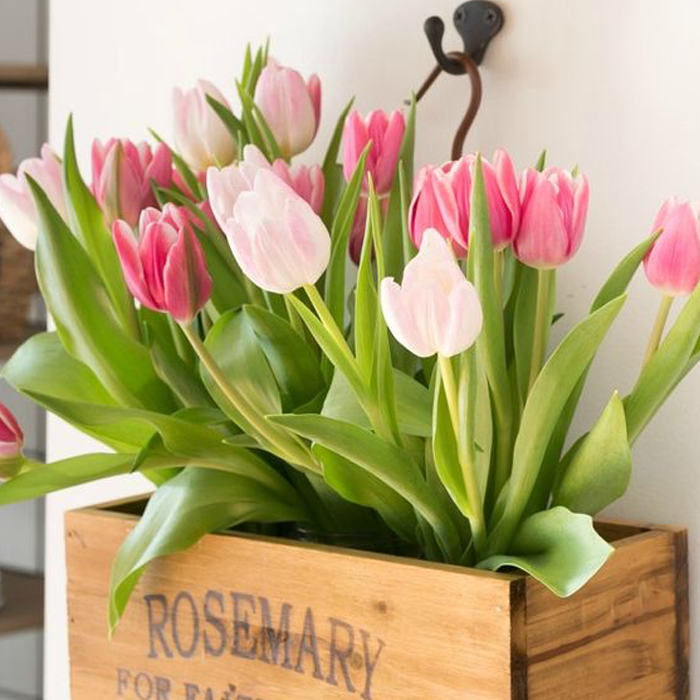 It is hard to believe but Mother's Day is just a few weeks away. 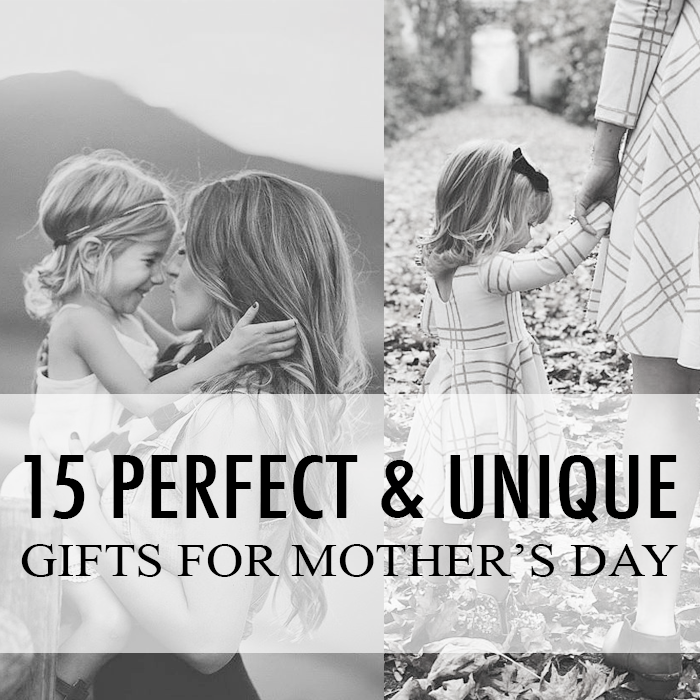 If you are looking for some ideas - I am sharing a few picks below - including some personalized and unique gift ideas. 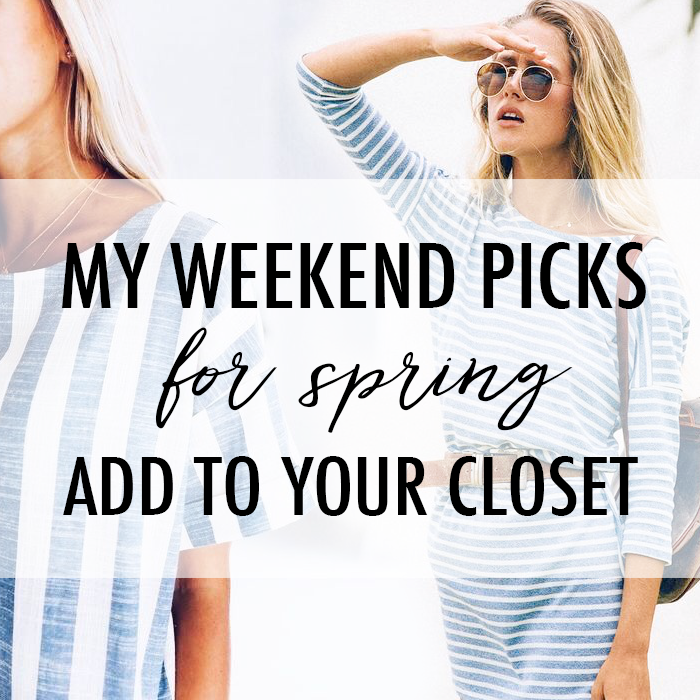 This is also a huge sale weekend and I am sharing some of my top picks at the end of the post - don't miss them! 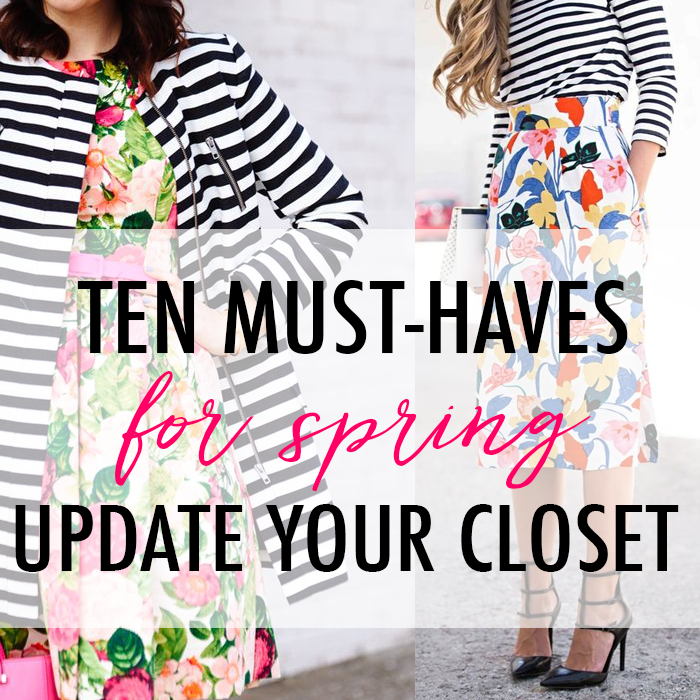 I am sharing 10 new spring arrivals to check out. 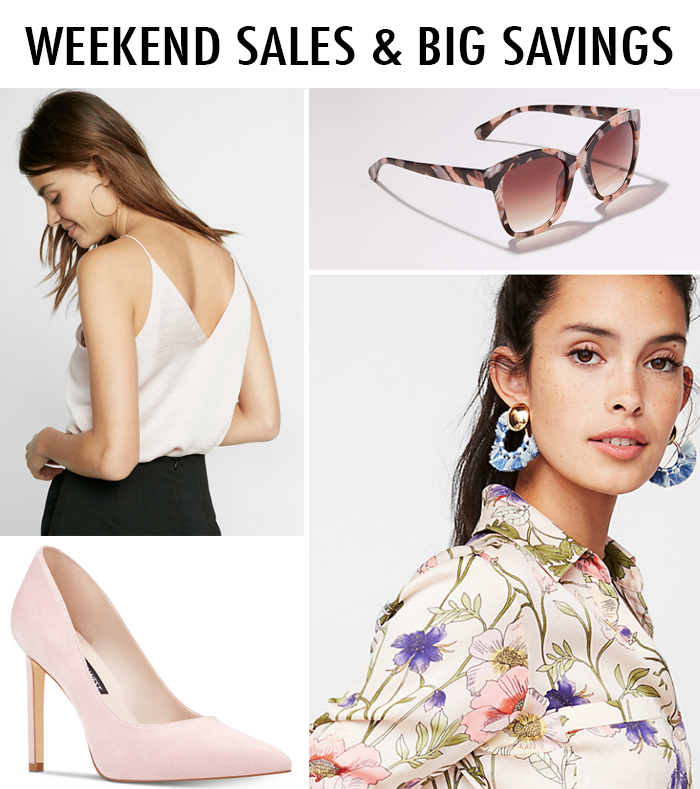 I wanted to point out that these pumps are only $60 - and they come in three colors. 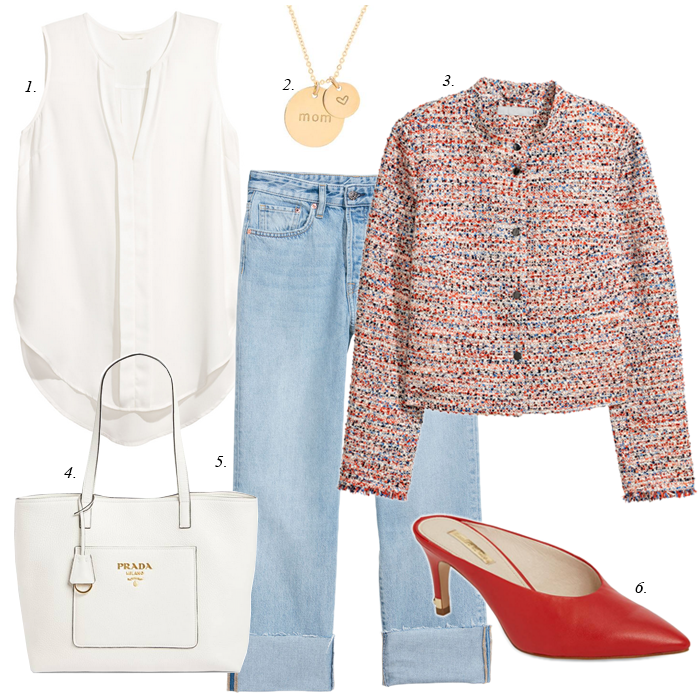 Also, today's look shows how to wear a tweed jacket more casually. 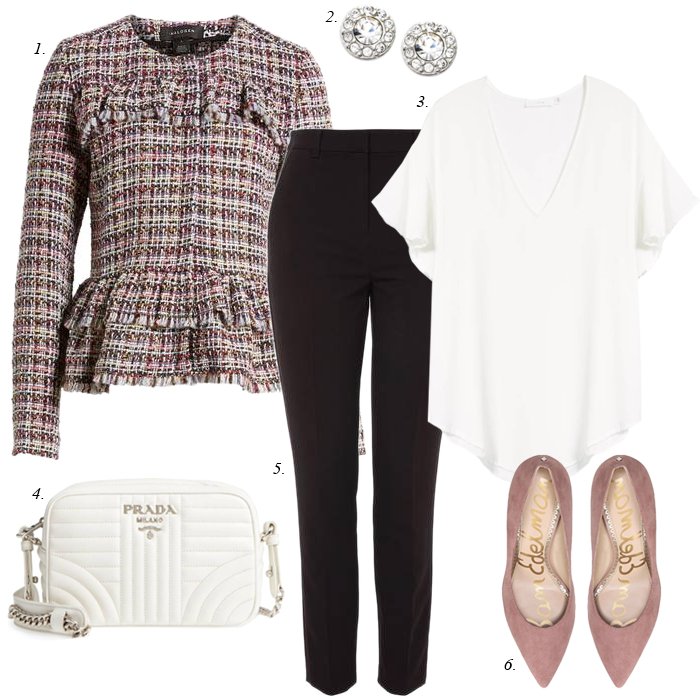 On Tuesday, I showed how to style a tweed jacket for work. 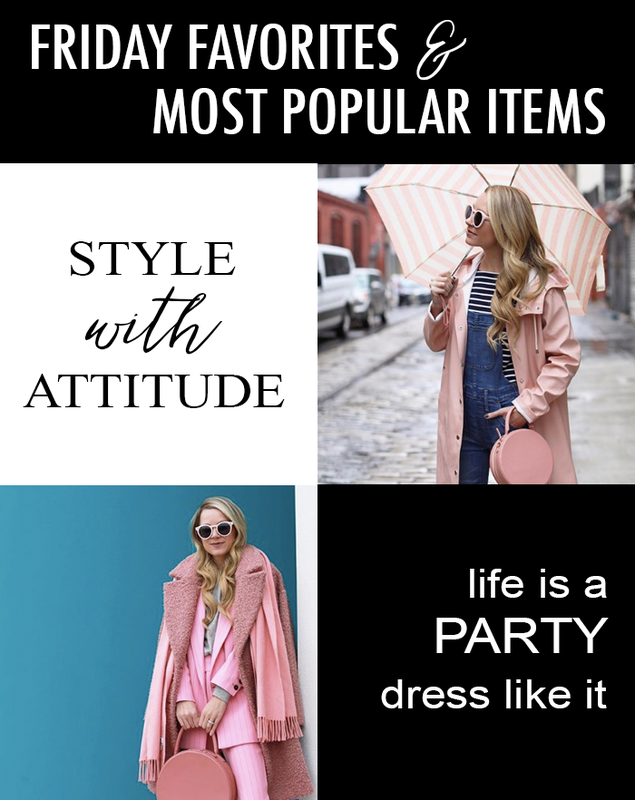 This jacket could also be styled for work. 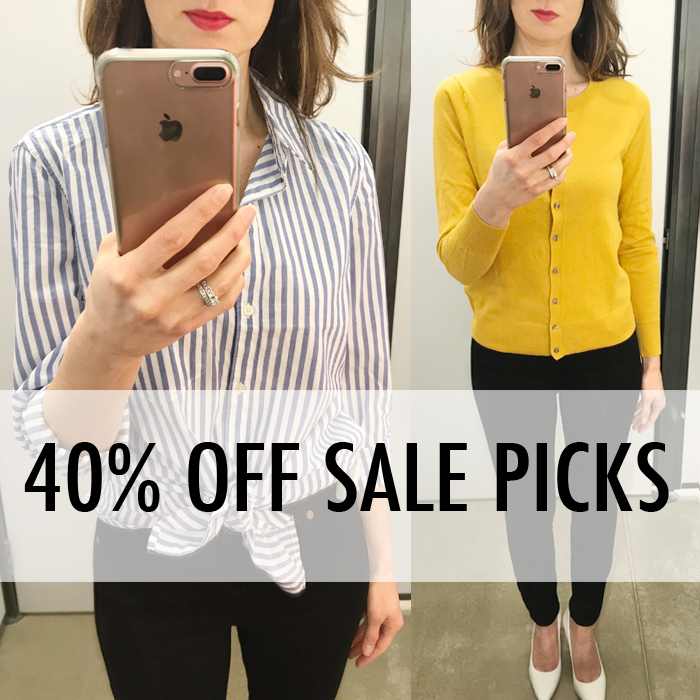 I don't typically post on Monday - but since there is 40% off at Old Navy, Gap, and Banana Republic - I wanted to share these great deals! 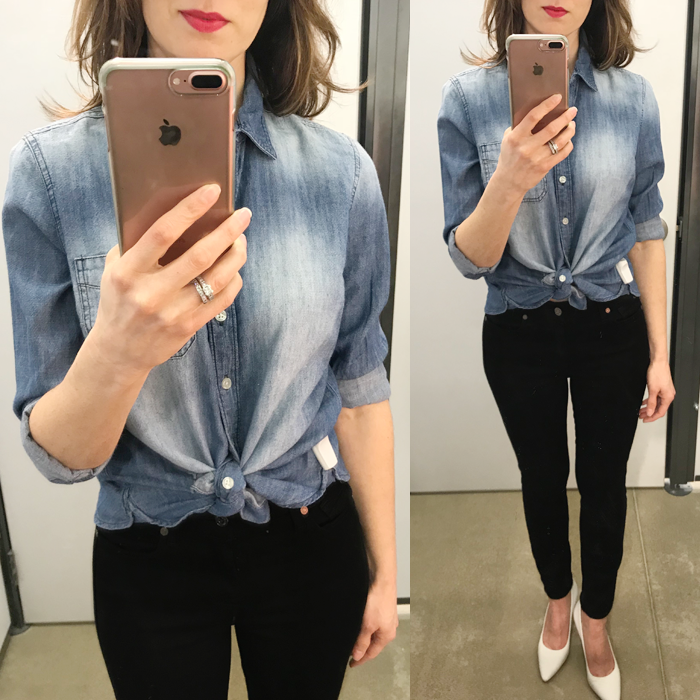 A classic white blouse that is only $25. This classic, yet fun black dress is a great deal at 40% off! 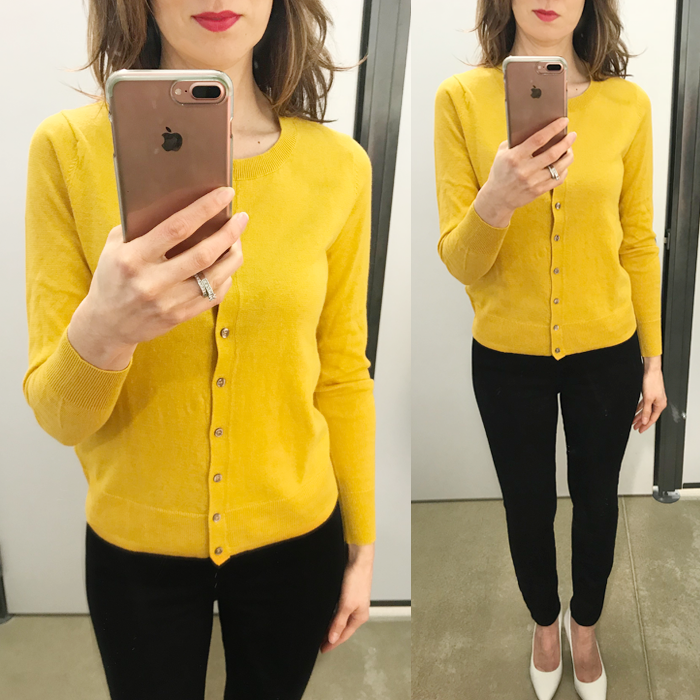 A bright sunny sweater for spring - and it's under $20! This cute off the shoulder dress is on sale for only $18! A cozy belted cardigan for spring - that's 40% off. What fun these suede shoes - and they are a great price! I like these heeled leopard mules - there’s also a flat version. 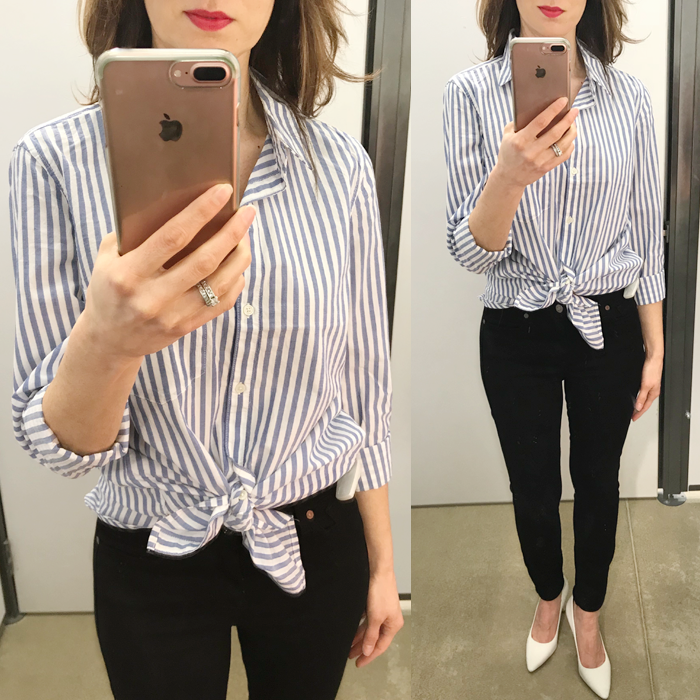 A striped blouse with tie sleeves - and only $25. A pretty trumpet sleeve blouse - and it’s only $15. 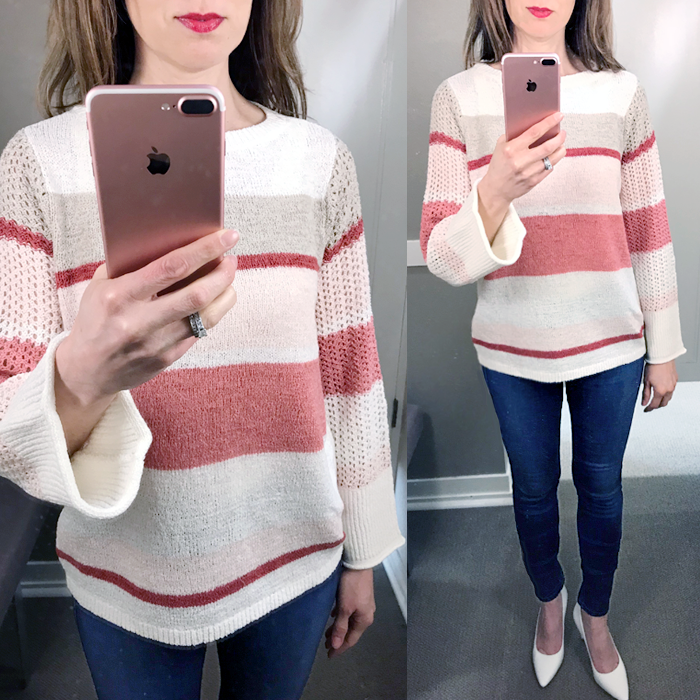 This pretty sweater with blouson sleeves and side slits - and is an extra 50% off. These flat pointed mules look comfy and fun. 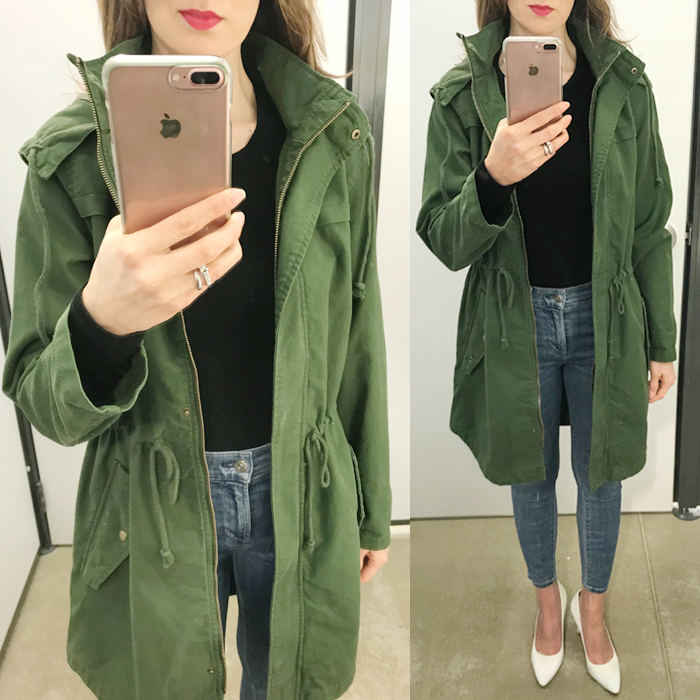 I like the look of this “updated” utility jacket - and it's on sale! 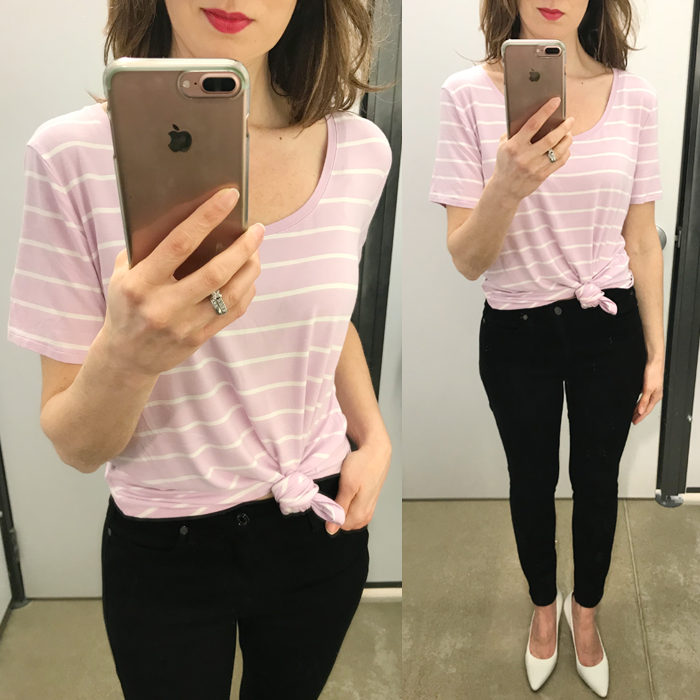 This blush pink v-neck looks like it would be so soft. 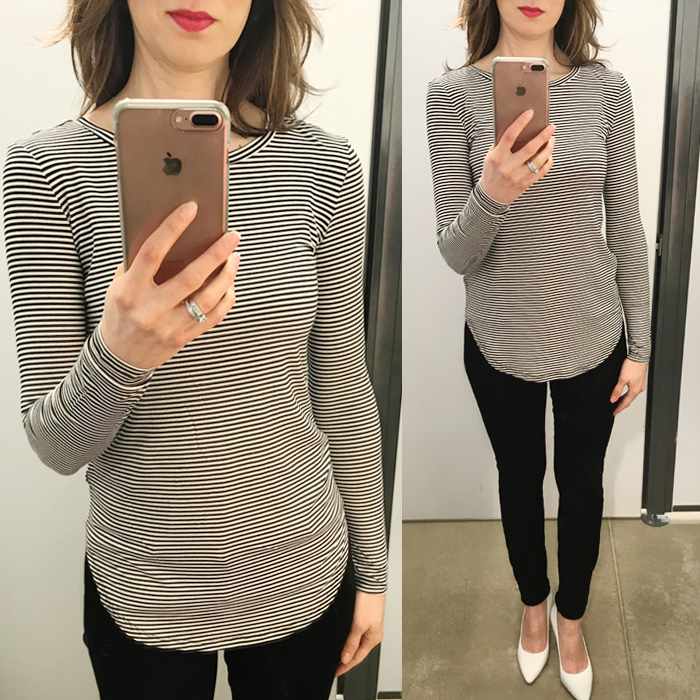 I like this off the shoulder top - and it's only $12. 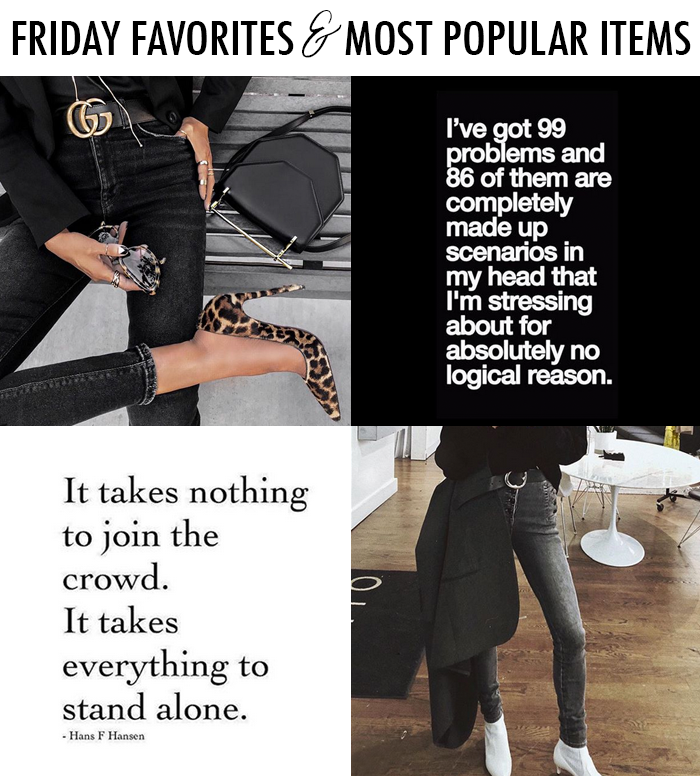 I shared favorites & popular items HERE and HERE. 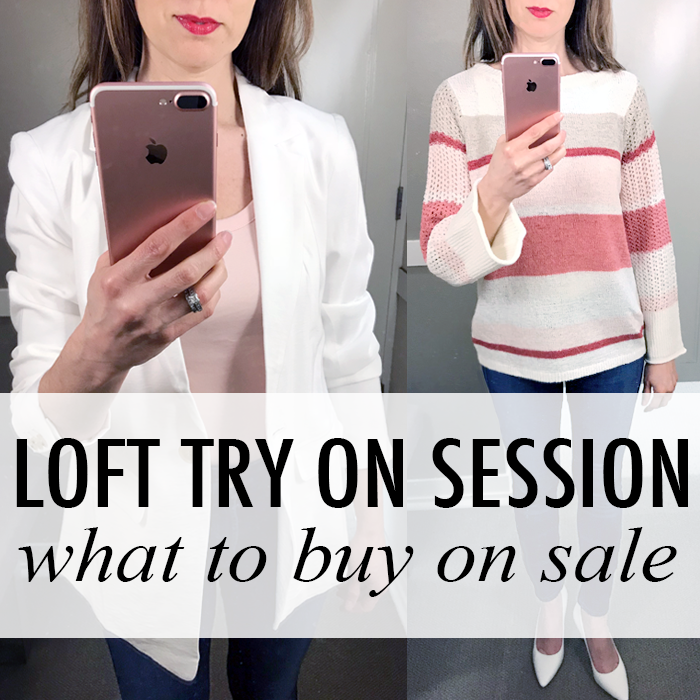 LOFT sale is still happening - here are my 40% off picks HERE (and a few more HERE). 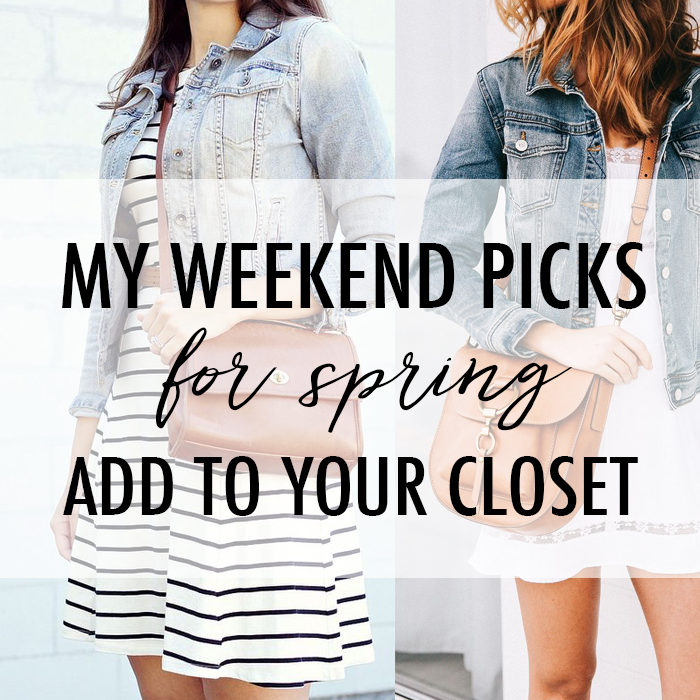 I am sharing a few of my weekend picks for your spring closet. I have followed Blaire Eadie for many years now. She has an amazing style of being able to layer clothes - and make them look so chic! 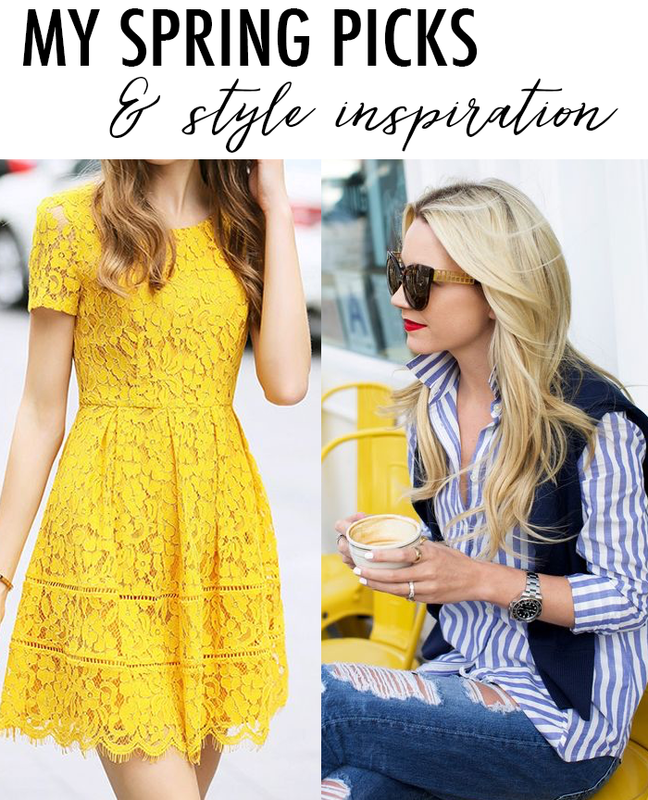 She started her career on the "Pacific" side of the country at Gap Brands, and has now moved to the "Atlantic" and works at Tory Burch. Okay, so my mom asked me the other day - “Would you really wear a plaid blazer (like the one I shared in a post a few weeks ago)?” And, my answer was “yes”. 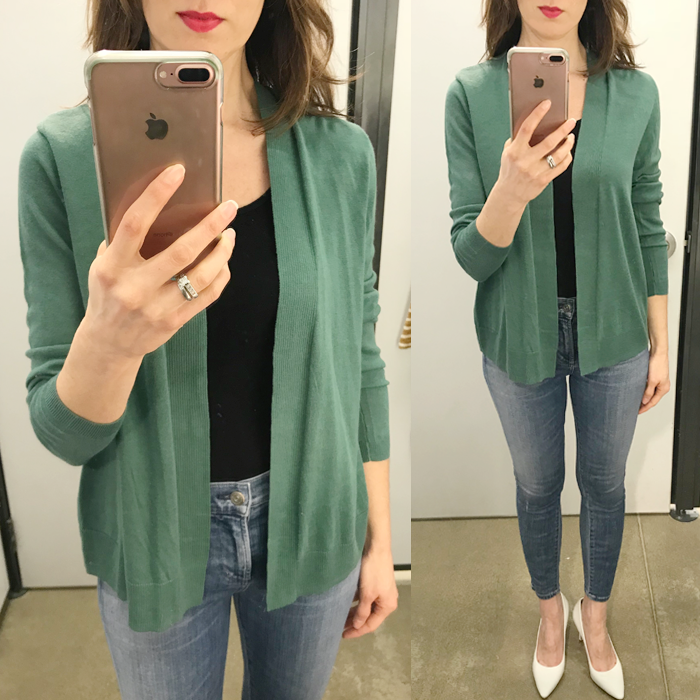 There is something about a “fun” blazer that I am drawn to. I like the look of it with jeans. It’s both classic and fun. Now, this plaid one may be a little “wild” and kind of reminds me of Rodney Dangerfield in Caddyshack - but there is something that I am drawn to, which is totally opposite of my "grunge" style of hiking boots and black beanie. 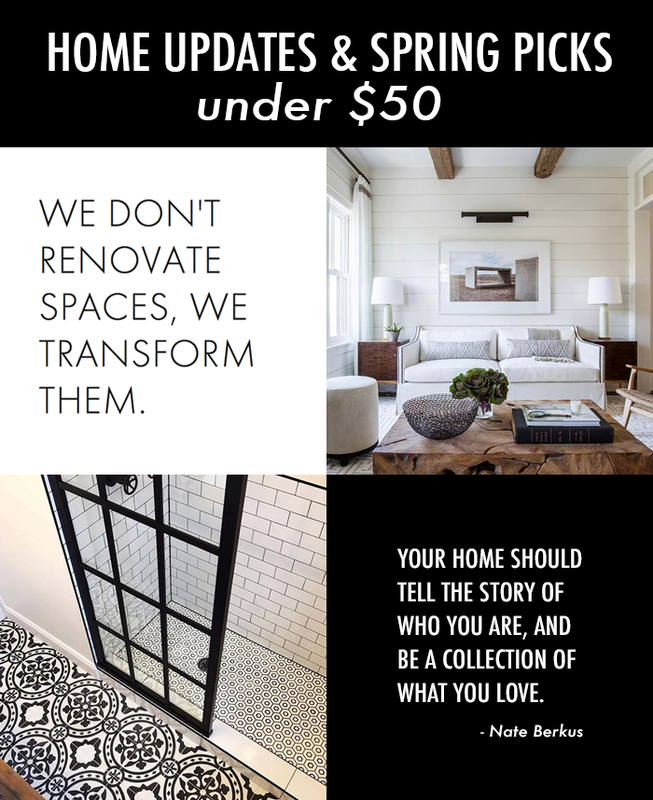 Does anyone pull from a wide range of style influences that are at opposite ends of the spectrum? If you are looking for a blazer - here are a few of my more traditional picks - like this classic black and white windowpane one or this bold red one (that is 40% off). LOFT is having their big friends & family sale. 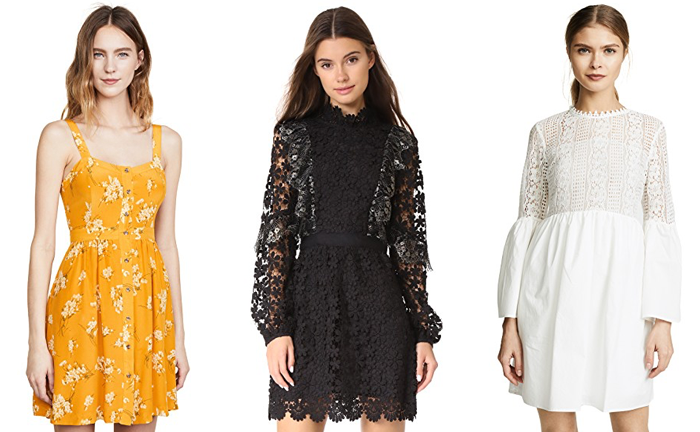 Now is the time to shop with 40% off everything, including sale items. I picked up this dress yesterday. And, I can't wait to wear it once it warms up. 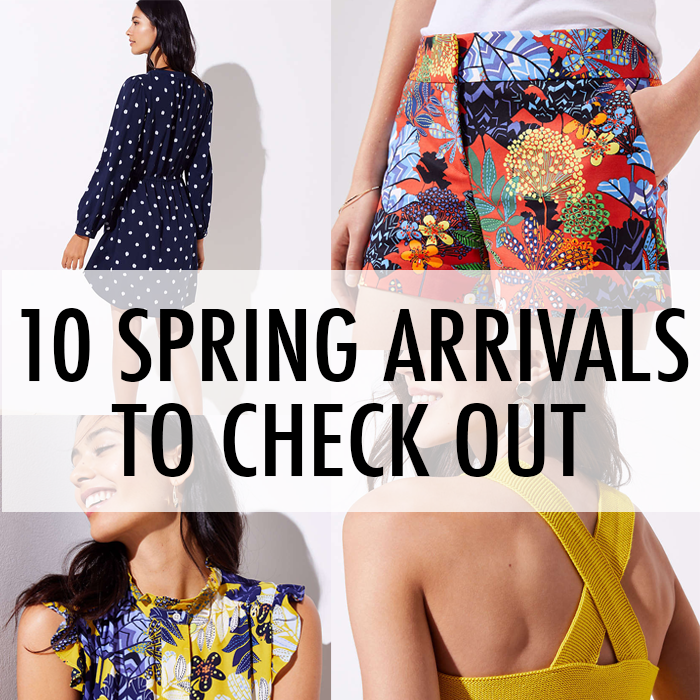 I am not typically a "floral" person - but I love this tropical print - and the colors!